Andy Schleck wins a stage race! So Contador gets his two years, and all the riders he swindled out of victory with his 50 picograms of clenbuterol get to move up a spot. Andy Schleck inherits the Tour de France 2010, Jérôme Coppel will be a stage winner at the 2011 Vuelta a Murcia as well as being retroactively instated as the winner, and Michele Scarponi (lol) gets to say he won that year’s Vuelta a Catalunya and Giro d’Italia, plus a stage and the points jersey. Vincenzo Nibali and Jose Rujano both get a Giro stage win added to their palmares, while Denis Menchov will also take a stage in Murcia. I did try to work out a scenario involving the stage time bonuses where Scarponi didn’t end up winning, but with all the positional shufflings he still ends up on top. Well, sorta. Maybe if Andy had learnt his gear changes there would be less of a fuss about all this. Contador will be back for the Vuelta a España of this year, where he will surely start as the overwhelming favourite for the title. First, however, there is the spectre of a possible appeal by Contador through the Swiss Federal Court (only relating to matters such as procedural irregularities). The decision about the fine Contador will have to pay will be taken by CAS at a later date. €2.485.000 is the figure being bandied around. Here, by the way, is the conclusion of CAS’s report..
Two years for a contaminated food supplement eh? 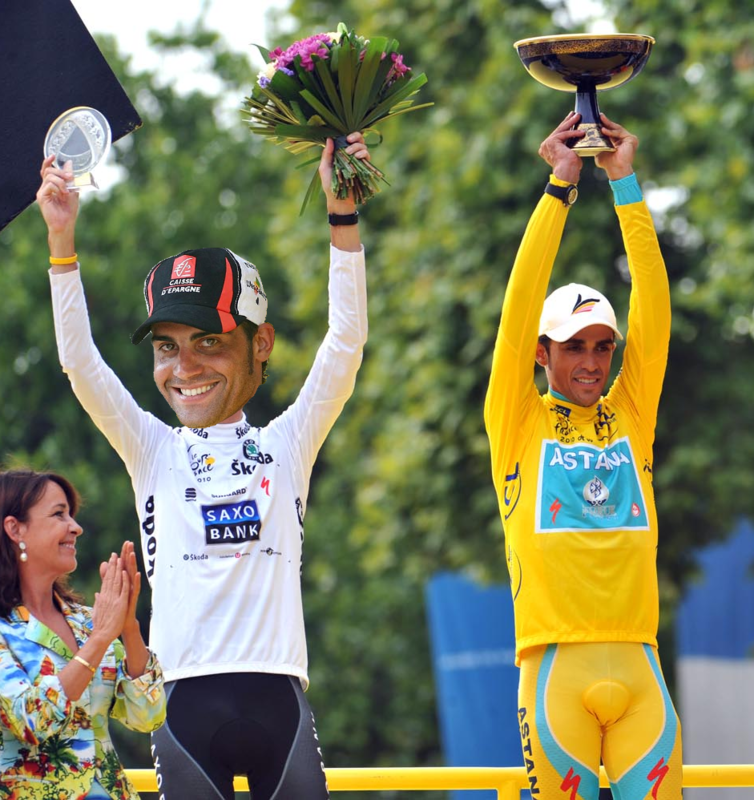 Previous Previous post: WorldTour Licenses 2012: Drama!